A walk on the ‘Wild side’! This festival delivered once again, helped in no small way by the fine weather. 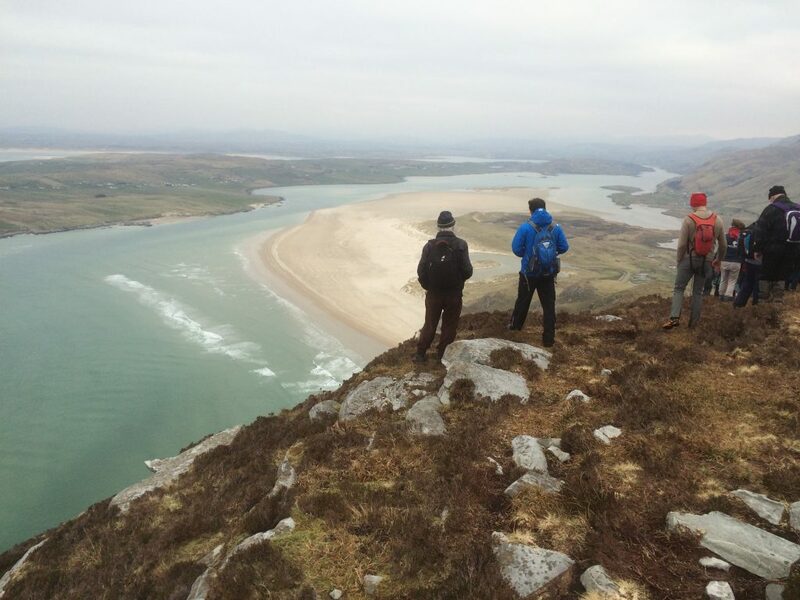 A large group of walkers descended on Ardara to savour the views, renew acquaintances, and generally enjoy themselves. 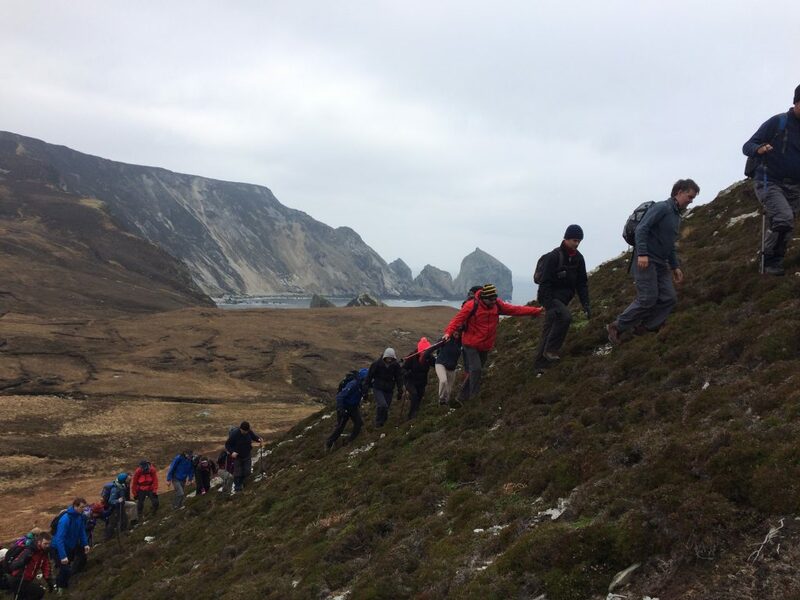 John Damien Gallagher and his trusted group of ‘mountain leaders’, must be thanked and complemented on the professional and friendly approach they took to the weekend. Without this volunteer effort, the Festival would not be able to function. 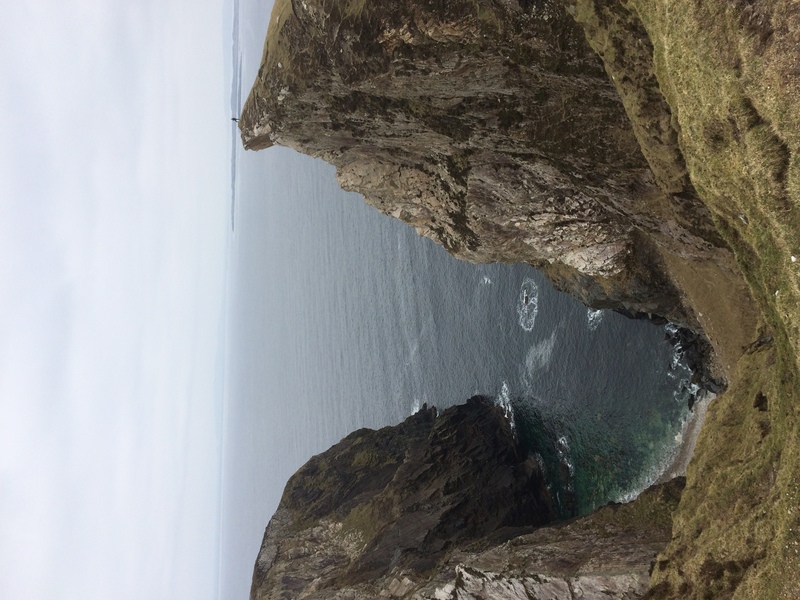 Attached is a sample of some of the breathtaking scenery that was sampled from the Port to Maghera walk on Saturday, which shows us once again the unrivalled beauty on our doorstep. 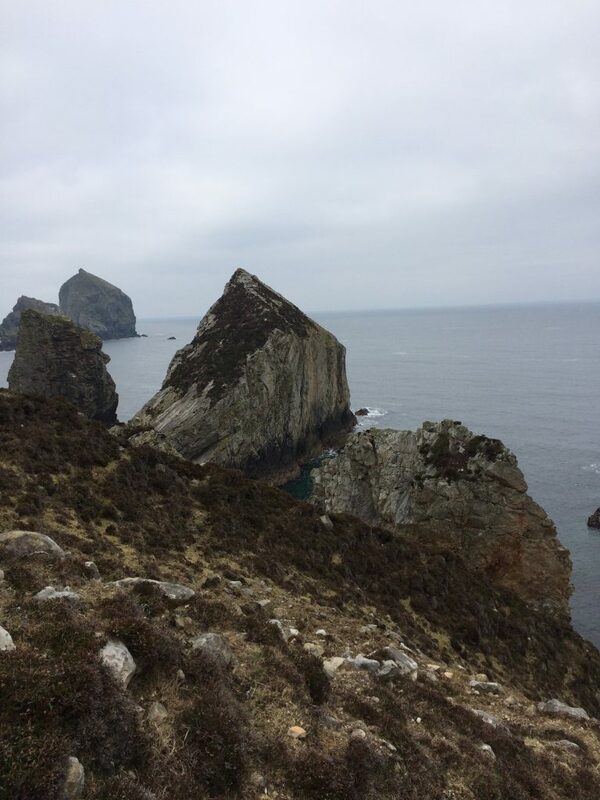 Remember, if you want to avail of any walks in the area, it’s best to use the local resource of our ‘Mountain Leaders’, through John Damien @ 087 6655828, who will advise on all aspects and suitability for walks. Hint: See if you can see the person in the first photo – (if you’re good with heights)!